Ah, the lineup is finally confirmed for KBS’s upcoming drama Are You Human Too, with Seo Kang-joon (Entourage) and Gong Seung-yeon (Circle) finalized as the main leads. This drama caught my interest early on with its unusual premise surrounding a romance involving an android and a human, and that’s enough to get me to tune in because I’m so wildly curious about how this relationship could possibly resolve satisfactorily. The drama, which attached Seo Kang-joon first, unfolds when a third-generation chaebol is in an accident and falls into a coma, whereupon his mother puts in his place an android made to look exactly like her son. It sounds like this “human impersonation con story” is necessitated by a brewing power struggle amongst the chaebols, and I’m thinking Mom must be trying to protect her son’s place. Seo Kang-joon will play that chaebol, Nam Shin, as well as his robot impersonator, Nam Shin-III. Gong Seung-yeon will play Kang So-bong, a bodyguard with a tough and cool outer image. She’ll come to protect Nam Shin-III, and although she grumbles all the while, she’s described as a warm and lovable person. I’m glad to see her scoring another lead role after earning notice in a steady stream of supporting roles (Introverted Boss, Six Flying Dragons, Heard It Through the Grapevine), and doing quite nicely at the moment in Circle. Go Ara onboard had been initially courted for this role, but I’m just as happy to have Gong Seung-yeon. Kim Sung-ryung (Mrs. Cop 2) has signed on to play Nam Shin’s mother, an expert in the field of artificial intelligence. Described as intelligent and intensely focused, she’s also the lead researcher working on developing the android with a secret team of top international scientists. Long estranged from her son, her longing for him is what initially prompts her to make the robot that looks like her son. Yoo Oh-sung (Uncontrollably Fond), meanwhile, is considering a role as Seo Kang-joon’s opponent, which should be right up his alley since Yoo is quite the old hand at playing fierce rivals and villains. Yoo’s character is a high-level director of the chaebol group who believes that if he can just get Nam Shin out of the way, he could become head of the company. Are You Human Too is written by Jo Jung-joo of The Princess’s Man, and directed by PD Cha Young-hoon of Uncontrollably Fond and Baek-hee Has Returned. The production aims to begin filming at the end of the month with the aim of airing on KBS in the fall, although it has not been given an official slot on the schedule yet. Honestly, I like this pairing too. Gong Seung Yeon is doing above my expectations in Circle. My eyes already hurt, too much beauty is not good for my health ? Gong Seung-yeon is on the roll and I'm loving it! She's doing well in Circle right now and another drama under her belt is very much welcome. I know I shouldn't start a new drama with our recent full plate but couldn't resist the urge since the premise sounds so wacky. And it delivers, lol! Her webdrama with Lee Jonghyung is actually available now in Netflix :) I hope you can watch on the site itself so we can help them with the views. Gong Seung Yeon is under the spotlight these days, and i'm loving it. I expect this drama to be really kdrama-esque with its typical villan. But i'm buying the android concept and the couple, let's see how it will unfold. Hopefully greatly. 2017 is Gong Seung Yeon's Year. I can see her left and right and I'm sooo happy about it!!! I'm enjoying Circle at the moment and Gong Seung-yeon is really good so I'm looking forward to watching Are You Human Too? when it airs. That's what I was thinking when I heard Go Ara...but I love this even more. Gong Seung-yeon is so lovely it hurts. Wasn't she the lead of Master of Noodles? Though I love Chun Jung Myung but the premise of that drama was so boring for my taste. Well, I am sure there are others who like that drama but I didn't watch it all. I watched her in Introverted Boss which I was wondering why wasn't she casted as the lead. Sadly, I didn't get to finish that drama too. It was too cliche as Secret Romance or as Goblin. I love how this drama sound. It's on my list of drama to watch. Currently, I have Big Hit. I am liking it so far. Then I have Criminal Minds which is my most anticipated drama for this year. And this 'Are you Human too' is up next. Jung Yu-mi (1984) was the main female lead for Master of Noodles. This girl is in the roll and i am happy for her only male lead wasnt Seo Kang Joon. I am not fond of him. "Go Ara onboard had been initially courted for this role???" I dont get what this mean, is shes reject this drama or just being a supporting cast?? Go Ara was offered first, but I think she declined it because it seems she will do another drama with Song Seung Heon. Watch Circle. Gong Seung Yeon's the lead on it and it has good feedback from kdrama fans. It will keep you on edge every episode. I wasn't going to watch until I heard Gong Seung Yeon was going to be a leading role. She is on a role this year. I am so happy for her deeming that I'm watching My Only Love Song which she nailed the role in. On a side note: She looks like a mix between Kim Seul Gi + Shin Min Ah.. anyone else? If only we can switch Gong Seung Yeon and Lee Yeon Hee lol.. ? I'm willing to give Lee Yeon-hee the benefit of the doubt since I haven't seen her in anything. I've seen Seo Kang-joon in stuff and while I liked him in Cheese in the Trap in small doses, I got tired of him when his character started to get more spotlight. I think he's improved much from Sly and Single Again. Both Lee Yeon Hee and Seo Kang Joon previously had only one project each which they indeed had the best performance but the others are meh. I don't have any expectation for them because of their inconsistent performance, if it works, it is because of the good writing and direction as well. I doubt they could make it work with their own skill only. See Hwajung when these two were paired. He is indeed improved but not consistent. While he was OK in CITT, he was underperformed in Entourage. I love Lee Yeon Hee and Gong Seung Yeon equally. Gong Seung Yeon is definitely suits meatier role. My only love song proved this girl can act right&left and sagueks& modern. By the last episode the robot will die/shut down/self-sacrifice for the heroine/situation. The heroine will live her life feeling sad and quit her job. After some months/years , the real guy will get out of coma, and will coincidentally look at heroine, fall in love at first sight and we'll have the ambiguous impression that he "remembers" her. She's doing great in Circle. This is exciting to hear. But to tell you my mind , I like her character " Min Da_kyung " more than Lady Bong_yi character. Her character is so underutilized. I have a soft spot for her since then. Ooohh, I love this pairing more than the initial one. Gong Seung-yeon caught my eyes since her role in Grapevine, and she is doing great in Circle. And with Princess' Man writer, I hope it will turns out good. 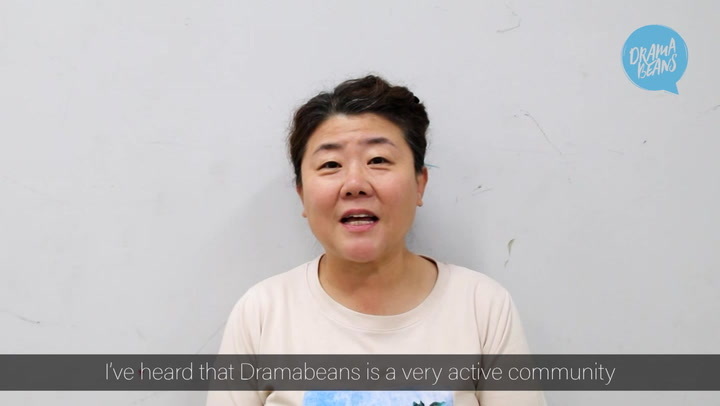 I'm glad she worked under the direction of An Pan-seok in Grapevine. He is amazing! I'd watch a drama for him alone. Loved her ever since that drama Heard it throught the Grapevine. While she was doing that drama, she was on WGM with Lee Jong Hyun of CNBLUE and i ended up watching first episode luckily and they have become my fav WGM couple and i instantly saw this girl has potential. She proves us everytime. Her pictorials are die for. I thought the same when I read the first paragraph. This reminded me of Absolute Boyfriend as well! I loved that drama, but the manga was especially hilarious/fun. honestly, I have been burned by Seo Kang-joon too many times. the show we shall not mention as well as "The adventures of Ho Jin and Eun Gab". Why is he still the lead? Well, just like all his other shows, he will be suitably bland while Gong Seung Yeon takes all the limelight. I rather like him. For some reason I feel like he's let down by scripts and directors more than a poor actor - he's capable of some very good work. I really like Gong Seung Yeon. She is really good in Circle and Introverted Boss. Its great that she is getting a lot of roles. And to have the Princess' Man writer on board.. i have hopes for this drama. Seung-yeonah, do you ever rest?! Gong Seung yeon is on a roll. After Six flying dragons, I heard It Through The Grapevine, and God of Noodles. She recently completed the Netflix drama, My Only Love Song, and she's absolutely killing it in Circle. I feel like she's building up an impressive body of work rather than being pigeonholed into "romcom female lead", compared to most actresses her age. And she's starring with a lot of established actors. Good for her! I see a bright future ahead of her. So cool! Gong Seung-yeon is getting another lead role, with Seo Kang Joon at that! I haven't seen him since Entourage and I'm so happy he's in dramaland again! The short summary picks my interest. It has the vibe of My Absolute Boyfriend. Has anyone seen that show? It's lead actress was Goo Hye Sun. Yay for Gong Seungyeon! She has proven herself really well in Circle and I'm glad she's landing another lead role. 1 - android and heroine fall in love! 2 - android sacrifices himself nobly and dies in heroine's arms! 3 - chaebol heir android was based on wakes from coma! Just, please, NO. It's both a cop-out and a creepy suggestion that beings who look and act enough alike are basically interchangable. On the other hand... to avoid the heroine ending up with an android, which I'm sure the drama will not allow, the heir could be in a coma physically and mentally plugged into an android body...? Although that kind of negates much of the interest of the original scenario. So, yeah, I may be charging a bit too far ahead here by reacting to an imagined plot development in a drama that hasn't even begun airing yet. Just maybe. ;-) Ahem! Yoo Oh-sung will be casted as iOS who will kill the android over an argument on desserts. But yeah, I also have those dramas in the back of my head... the concept didn't sit well with me there, either. I've also read a novel in which the same thing happened with twins, and ugh, no. They are not the same person, for heaven's sake. YASSS. Get it girl! I'm very happy she's getting new projects. Her two latest projects have really endeared her to me as an actress and I cannot wait to see her being a gruff and cool bodyguard with a marshmallow-center! Get over it. The fact was PHJ was outshone & outperformed by Seo Kang Joon. Whether it was because of PHJ's acting or not but Jung was very unlikeable character. Sorry I mistakenly replied on your comment. It was meant to someone else. Sounds interesting and I've become a GSY fan, so I'll definitely check this one out. What can i say.... ?? Sounds like a mix of "Astro Boy" and "Absolute Boyfriend" XD. Glad that all the Circle casts are coming back so soon. They've done an outstanding job in that drama. LOL this premise sounds ridiculous. Reminds of Disney's Pixel Perfect. But both leads are enough to make me look forward to this one. Gong seung-yeon was always kind of awesome in my opinion. I actually also really like Seo kang-joon and believe that he's a natural at acting...at least in what I've seen of him. I hope to hear more about this soon. What's better than a chaebol? A robot chaebol! And here I thought kdrama has used up all possible scenarios for chaebols. The moment I read the word 'robot' in the title, I know that I will watch this drama. Gong Seung Yeon is cute in My Only Love Song and good in Introverted Boss. Wish her well for this drama. I saw CITT but not really a fan of SKJ. I like Gong Seungyeon, but her partner...Seo Kangjoon's acting is still a bit weak and his star power is still a bit meh. The director has a good track record, although he just recently started his career. The scripwriter is also quite decent, he/she is the half of the duo that have given us The Princess' Man.... So, I am a bit worried of Gong Seungyeon's decision to immediately jump to this drama. I think I will be cautiously hopeful of this drama.